Lot 5. CELTIC GAUL. Leuci. 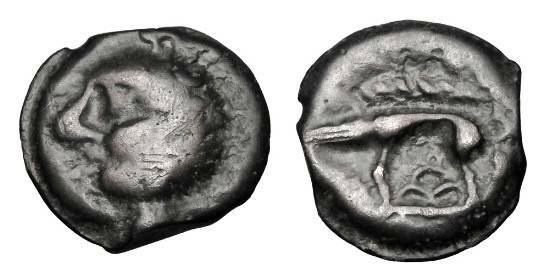 Boar Standard Series, before 52 BC. Potin Unit.